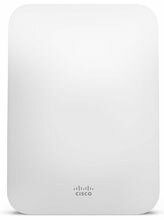 The Cisco Meraki MR26 is an industry-first three-radio, cloud-managed 3x3 MIMO 802.11n access point designed for high-density deployments in large offices, schools, hospitals and hotels that require premium performance. 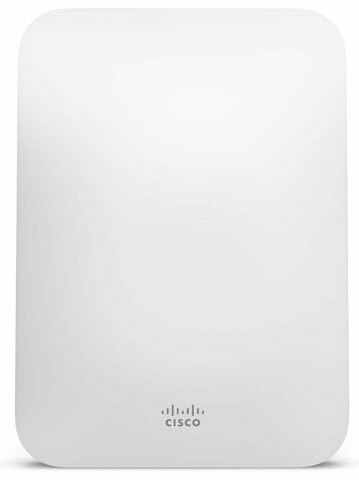 The MR26 features dual-concurrent, dual-band operation with the speed of 3x3 MIMO with three spatial streams, delivering the ultra-high throughput and reliable coverage required by the most demanding business applications like voice and high-definition streaming video. Not only does the MR26 provide data rates of up to 900 Mbps with two concurrent 3x3: 3 MIMO radios, but also delivers unprecedented security and spectrum visibility via a third radio dedicated to 24x7 WIDS/WIPS and advanced RF analytics.